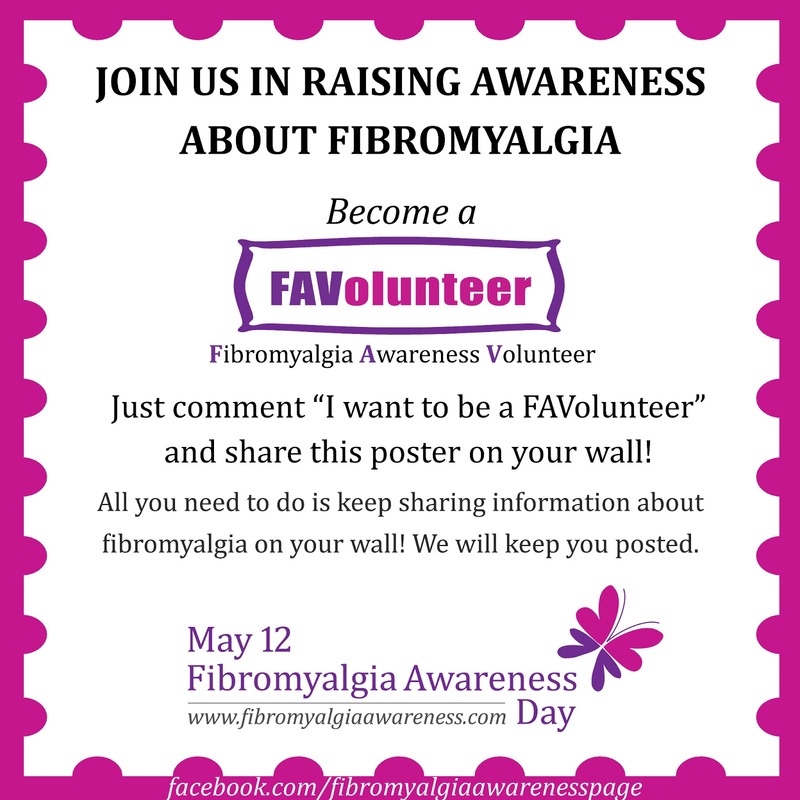 Fibromyalgia Awareness | Information, Tips, Support, Patient Stories: FAVolunteers to raise awareness about fibromyalgia. 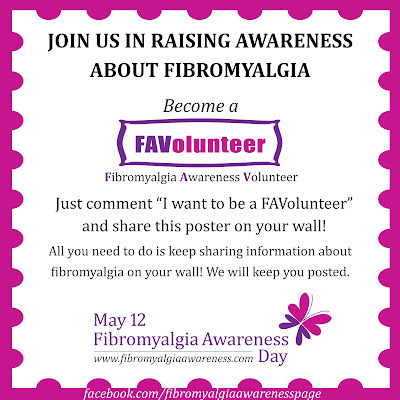 FAVolunteers to raise awareness about fibromyalgia. So who is joining us as FAVolunteers? A campaign to raise awareness about Fibromyalgia and what the patients go through? All you need to do is share info about FMS on facebook at a time of your convenience.We will keep you posted about the activities. If you are already on our Facebook page, you know how to go about it. If you are new here, please Like our Facebook page (https://www.facebook.com/fibromyalgiaawarenesspage) and we can kepe you posted. Also, you can share our links on your page. LIKE and SHARE so that more and more of us can do something for this cause. I want to be a FAVolunteer!! !